Former Take That singer Robbie Williams has revealed he's now gone vegan part of the week following a health scare that forced him to cancel his Heavy Entertainment Tour. He says he still eats a "really big burger" on a Sunday. The 43-year-old Angels singer posted a vlog on his YouTube channel to update his fans on his health. He said: "Hello everybody, I'm here to give you an update on my whereabouts and how I am. So how I am is really good. I've been recovering from an illness now for the last five weeks. Unfortunately, that illness kicked in just at the end of my tour, a tour which was going so well. The audiences were incredible, I was okay, the band was amazing, I was a soldier and I needed to finish that tour and I needed to go to Moscow and I needed to go to St. Petersburg and then I got some test results. They were very worrying and I ended up in ICU, so I couldn't go". He pointed out that he hadn't pulled out of a tour since 1998 and that he was looking forward to performing in Russia. After thanking fans for their messages of support, he said that he's now back to almost his usual self. "Now I am vegan, I do pilates every day, I do yoga every day and have a really big burger on a Sunday. So I'm not fully that guy. I still 'burger' (sic) for a cheat meal". 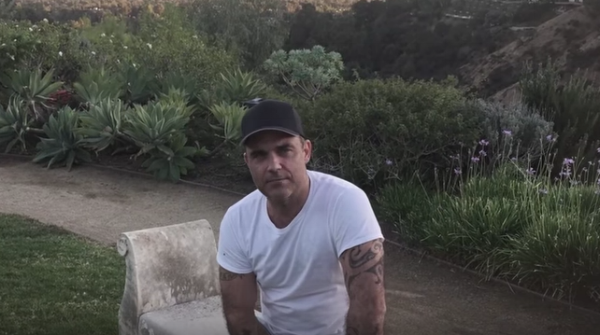 Could Robbie Williams go 100% plant-based once he sees the results of going vegan? Only time will tell.